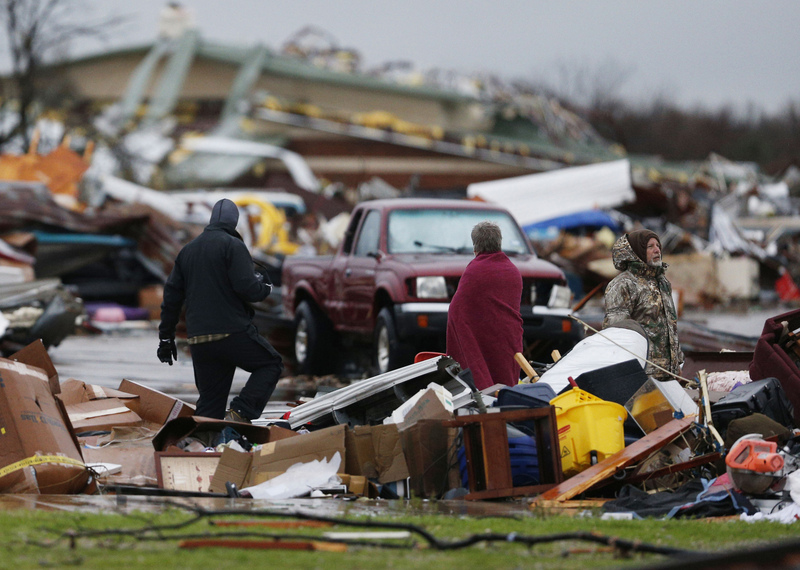 Dallas, TX - Reports from local officials show as many as 1,000 homes in the Dallas area were damaged or destroyed by tornadoes and heavy storms that killed at least 11 people. Texas Gov. Greg Abbott and other state officials on Sunday would not commit to an estimated number of buildings destroyed, families displaced or even casualties. They cautioned that rescue teams are still assessing the damage and sifting through toppled structures. But numbers reported by local officials suggest a grim tally of destruction. The worst hit was Garland, where meteorologists say a powerful EF-4 tornado tore through the suburb. Wind gusts for tornadoes on that scale exceed 200 mph. At least 600 homes were damaged in Garland and more than 100 were impacted farther to the south in Ellis County.